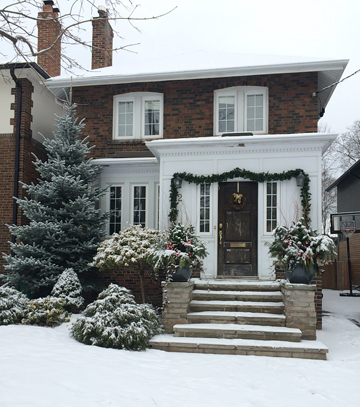 With a common issue many of our clients face, the owners did not want to leave their current neighbourhood but were running out of space as their three children grew. 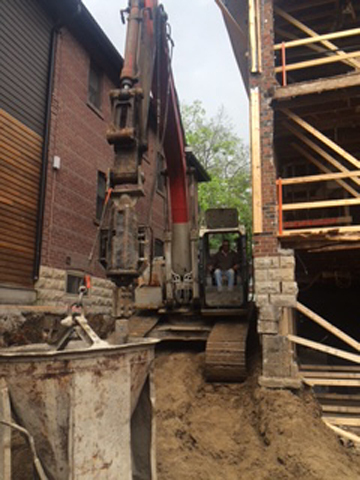 Thus, the best option was to embark upon an extensive renovation that left just two original walls standing post demolition. This project is a perfect example of our integrated design process which demanded a collaborative effort from all involved parties including the client, architect, designer and subcontractors. Together, we planned to overcome many design challenges prior to construction. Challenges we overcame included having to shore the east side of the excavated area due to poor soil conditions for protection to the adjacent property. 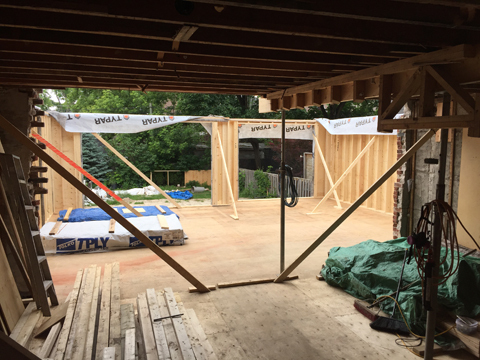 Further, the basement was underpinned to gain height and lastly, to accommodate the requirement for more space, the addition extended into the backyard as well as into the driveway with a third floor added by constructing a mansard roof which resulted in additional floor area. The construction scope included a new kitchen and bathrooms, home office, recreation room, large windows for more natural light, a side entry mudroom, all new mechanical, plumbing and electrical services, waterproofing of the existing foundation and with great importance, ample storage solutions.